PDE LInky Party challenge #122 - Anything Goes! 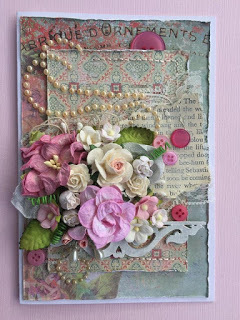 For my card this week I was playing around with flowers and paper to put together this Shabby Chic card. It was a lot of fun!! 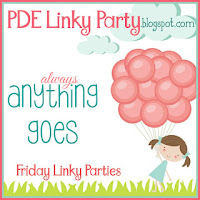 We hope you can join our ANYTHING GOES Challenge.